In this unit we look at find the equations of tangents and normals to curves, increasing and decreasing functions and the second derivative. 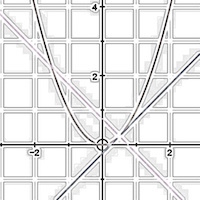 All this builds on the fundamental notion that calculus tells uas about the rate of of change of a function.Teachers may want to share these slides with students for learning or recapping key ideas. Click on any slide to enlarge it and go through the slides.